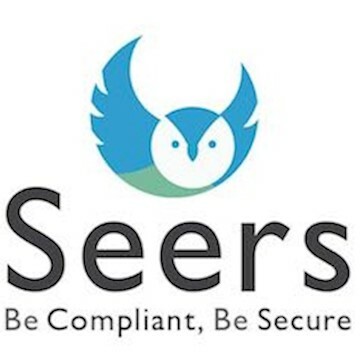 Thank you for registering your interest in Seers Group LTD.
Seers provide privacy management solutions to SMEs. They aim to be SME’s data protection and privacy compliance one-stop shop. It provides awareness, advice and Artificial Intelligence solutions. The company has developed five products so far and generated renevue since it went live in January 2019. It formally agreed on partnerships, such as: Enterprise Nations - 100,000 SME membership body; Business Mobiles - 12,000 SMEs customers; Huckltree - 2,000 SMEs and several IFAs, Accountants. The company is reaching out to 150 chambers, 30,000 IFAs accountants, 12,000 Lawyers, 300,000 SMEs via corporate organisations. GDPR Audit - 15 modules identify weaknesses and give recommendations to comply (free basic version); Cookie X-Ray - Over 50% of companies are breaking GDPR and ePrivacy regulation by running unnecessary cookies. Cookie Xray identifying those cookies and helping to fix it. Free Basic version. The third one is Cyber Secure - Two AI applications that helps SMEs to guard against the most common cyber threats. The fourth one is PECR Audit - A detailed audit helping SMEs to comply with Privacy & Electonic Communication Regulations. The last one is Find an expert - Data Protection Advisors market place. Privacy regulation and Cybersecurity risks are increasing day by day. Non-compliance risk hefty fines, brand damage and insolvency. GDPR, Data Protection Act 2018, ePrivacy, PECR, EU & USA Privacy Shield are only a few to name. EU countries have already implemented several that will be followed by the rest of the countries. The revenue model is based of of SaaS and commission that comes through the adviser service. There are three levels of SaaS each with varying levels of access to the tools provided on the platform. The first two tools are free, these are the GDPR Audit and Cookie X-Ray. There are three levels of SaaS: Silver - £9.99 per month; Gold - £34.99 per month and Platinum - £99.99 per month. From the Advisers platform commission will be paid on any referrals that are made.